"You totally missed out!" This sentence strikes fear in the hearts of teens more than almost anything else you can say to them. In fact, missing out on something bothers most teens so much there is even a special word for that sick feeling they get in the pits of their stomachs: FOMO. In simple terms, FOMO stands for "fear of missing out." FOMO, which was added to the Oxford English Dictionary in 2013, refers to that nervous or anxious feeling a person gets when they realize they are not attending a social event either because they were not invited or they just did not feel like going. In general, FOMO causes people to assume that they have a low social rank. This belief, in turn, can create anxiety and feelings of inferiority. What's more, FOMO is especially common in people ages 18 to 33. In fact, one survey found that about two-thirds of people in this age group admitted to experiencing FOMO regularly. Historically, people have always been concerned about where they stand socially. But with the advent of social media, FOMO has become an even bigger issue especially for young people who seem to always be online, checking status updates and posts by their friends. So, when young people miss a party, do not go on a family vacation one summer, or do not attend the school dance, they can feel a little less cool than those who did and posted photos online. Meanwhile, research suggests that people who experience FOMO are more likely to value social media. In fact, some psychologists even suggest that the fear of missing out is what makes social media platforms so successful. For instance, they claim that FOMO drives people to use technology to let others know not only what they are doing but also how much fun they are having doing it. But this should not be surprising. It is very easy for teens to define their lives based on what they see online. In fact, watching, critiquing and liking every move someone else makes online is what leads them to constantly measure their own lives against these posts. If you ask teens if they experience social media anxiety, most would answer no. But what they do not realize is that if they are stressed or worried about what they see online, then they are likely experiencing FOMO, especially if they are online a lot. In fact, when teens and young adults live their lives through a virtual filter, they are more prone to experience FOMO. And with at least 24 percent of teens online almost constantly, it should not be surprising that FOMO is reaching epidemic proportions. The problem is that incessant worrying about what everyone else is doing only causes teens to miss out on their own lives even more. In fact, FOMO causes people to keep their attention focused outward instead of inward. This, in turn, may cause them to lose their sense of identity and to struggle with low self-esteem. But worse yet, when they are struggling with FOMO, that means they are so focused on what others on doing that they forget to live their own lives. One study found that the more people use Facebook, the worse they feel from minute-to-minute. Their overall sense of satisfaction is worse because they feel the need to stay constantly connected with what others are doing. Meanwhile, another study found that a third of people felt worse while on Facebook, especially if they were viewing another person's vacation photos. Meanwhile, the National Stress and Wellbeing in Australia Survey found that 60 percent of teens said they felt worried when they found out their friends were having fun without them. And 51 percent said they felt anxious if they did not know what their friends were doing. What's more, the researchers said that there is a very real correlation between the number of hours spent on digital technology and higher levels of stress and depression. 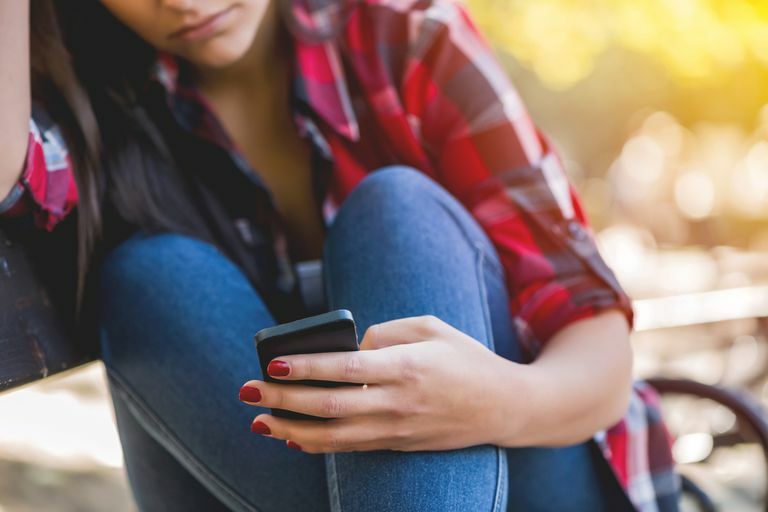 According to Project Know, teens also may feel pressured to use drugs or alcohol in order to keep up with friends or celebrities they follow on social media. They also may have lower levels of satisfaction with their lives, which makes them especially vulnerable to other mental health concerns. Another consequence of FOMO is distracted learning as well as distracted driving. For instance, teens with high levels of FOMO were more likely to check their social media feeds during class or while driving. What's more, they were also more likely to text and drive. One thing teens can do to cope with FOMO is to track their negative thoughts and feelings in a journal. This allows them to observe how often they are feeling negatively about themselves or their lives. The key is to keep track of how often they experience negative thoughts and feelings and to note what they were doing when those thoughts occurred. Later, you can both analyze the journal and determine if there is a pattern to the negativity and what might need to change in order to feel better about themselves and their life. Tracking negative thoughts also allows teens to recognize the negative words and phrases they repeat to themselves. Then, when they catch themselves saying something negative to themselves, they can redirect their thoughts and replace the negative words with something positive. Of course, turning off the technology seems like a natural cure for FOMO. But just switching the phone to "off" or "do not disturb" does not erase the feelings that FOMO causes. Teens may still worry that they are missing out, even if they are not on social media at all. The key is to turn off the technology and do something else entirely like read a book, give a friend a makeover, bake cookies—anything that allows them to focus on something other than social media. Another option is to schedule specific times each day to check social media. By doing this, teens are not glued to their screens and are more productive if they are only checking social media at set times each day rather than scrolling endlessly through Instagram. Encourage teens to recognize that they have limited time and cannot possibly be everywhere and do everything. So, naturally, there will be parties or events that they cannot attend. But this does not mean that they are necessarily missing out on something. Photos can be deceiving. And even though it looks as if their peers are having the time of their lives, this may not actually be the case. They should never let the fact that they couldn't be somewhere impact their view of themselves. Be sure they do not embrace the belief that their life is boring and that they never do anything fun. Mindfulness is an exercise where the person learns to intensely focus on whatever they are doing at the moment. Whether it is something as mundane as soaking in a tub to walking along a path in the woods, the goal of mindfulness is that teens focus completely on what they are doing in the moment. For instance, if they are soaking in the tub, then they might focus on the temperature of the water, the feel of the bubble bath between their toes and the smell of the essential oils they sprinkled in the tub. In other words, they focus so intently that there is no room in their brain for worry and feelings of anxiety. Remind your teens that even though they may see all these beautiful photos with smiling faces, that most people their age are only posting the best pictures online, and they are sharing about events and activities that show their most idealized selves online. Instead of comparing themselves to these photos, encourage them to scroll through their Instagram, Snapchat, and Twitter with a skeptical eye. They need to remember that even though it looks like their peers may be having the time of their lives, they also probably spend just as many boring nights at home watching Netflix. No one lives a perfect, idealized life, even though social media allows them to pretend they do. Motivational, Emotional, and Behavioral Correlates of Fear of Missing Out. Computers in Human Behavior. National Stress and Wellbeing in Australia Survey. Australian Psychology Society. Facebook Use Predicts Declines in Subjective Well-Being in Young Adults. PLOS ONE. August 14, 2013. DOI: 10.1371/journal.pone.0069841. Facebook Makes Users Feel Envious, Dissatisfied: German Study Reveals Social Network's Big Role in Users' Emotional Life. January 21, 2013.